Website in progress (https://carmichaelhart.poweredby-wp.com/) — The model site is available online for comment. It could be up and running within the next month. 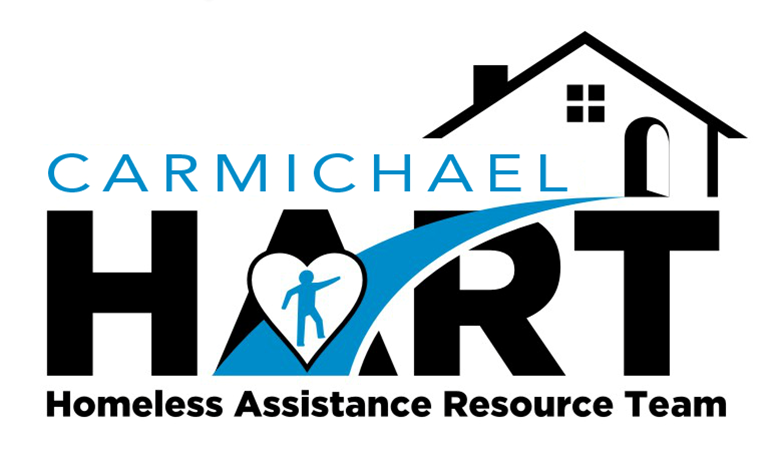 Sacramento Self-Help Housing Update – Ken Bennett — Five HART groups are now operating in various stages (Elk Grove, Rancho Cordova, Citrus Heights, Carmichael, and Folsom, which was organized last week). All will be involved in Winter Sanctuaries this year. — SSHH is opening a house with WIND Youth Services (https://www.windyouth.org/) to provide six more transitional housing spaces for youth in the next month. — American River Community Church will assess a remodeling needs assessment, estimated at $30,000 for roof, electrical and other work, before deciding whether to demolish or make available a house on its property for homeless housing. An inexpensive mortgage is possible, Ken said. — A contractor remodeling estimate is needed to decide on the feasibility of work on a large house owned by a HART member in a good Carmichael neighborhood. — Ken said a “program fee” approach for residents in transitional or shared housing may be a simpler, more flexible alternative to rent, which is less directly related to helping homeless people move toward sustainability. He said the SSHH Cathedral Transitional Program has a 50 percent success rate in moving hundreds of people to sustainability over the past 12 years. — The Greater Sacramento Winter Sanctuary program is looking to work collaboratively with HART, although Carmichael will not provide an intake center as they did last winter. Winter Sanctuary – Fred Green — About 30 people came to Christ Community Church’s latest outreach (the third Saturday). — The committee is forming 3 subcommittees: budget, logistics, operations. It’s tightening controls to follow at monthly events and at the eight-week Winter Sanctuary, scheduled to start on New Year’s Eve, Dec. 31, through Feb. 24. Six churches so far are committed (Christ Community, 2 weeks not back-to-back; Carmichael Presbyterian; St. John the Evangelist; ARCC; Crossroads; The Church on Cypress, the daily intake center. The Lady of Assumption may help with volunteers. Ken Bennett said a “maybe” from a potential host church is positive since volunteers become enthusiastic advocates. — Scott Young said Carmichael churches of the Latter-Day Saints have committed to operating the intake center for all eight weeks. Next HART meeting: 6 p.m., Thursday, Aug. 17, at Christ Community Church. Meeting adjourned at 7:40 p.m.